Only a few shapes in this pattern have turned up in carnival. 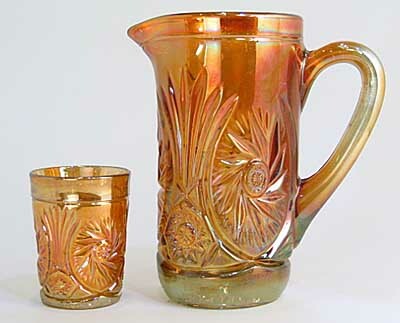 In marigold, this tumbler and pitcher sold at a 2004 auction for $55 and $250. 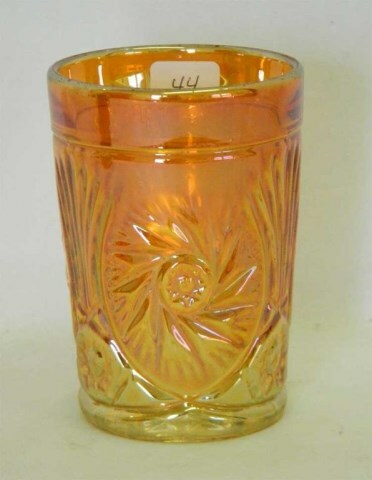 Another marigold tumbler sold in 2004 for $170. 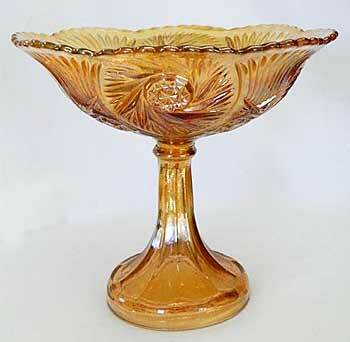 Also in 2004 a marigold tumbler sold on eBay for $96. The pitcher and tumbler are also known in blue. This 9-inch tall compote sold in 2011 for $90. It was listed as pink. Photo courtesy of Seeck Auctions.